No kidding. This has to be a one-of-a-kind wedding. 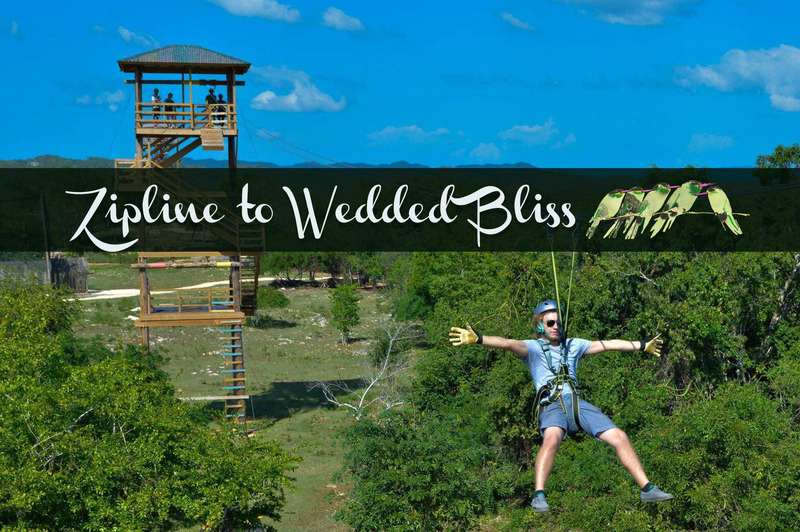 Your Zipline to Wedded Bliss starts with a ceremony at Jamwest Adventure Park. The bride and groom arrive at the ceremony on a zipline and the party takes off from there. Includes transportation for the bride and groom and up to 10 guests, music, a marriage officer, a wedding planner, wedding cake, special dinner reservations, two chilled bottles of champagne. Packages start at USD $1,999 and do not includes rooms or USD $250 licensing fee.